This time of year is always bittersweet for me. The cold makes my body hurt.....Winter seems to never go away quick enough, but the anticipation of warmth and longer days awaits. 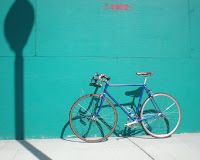 I look forward to extending the riding opportunities and just generally spending more time outdoors. Hopefully I can start logging a few more miles so I can be ready for some pain!! 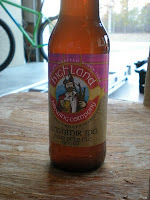 Highland breweries representing with a nice little IPA from the hills of Asheville, NC.